Document Notes: One volume of the WRA Final Report series. 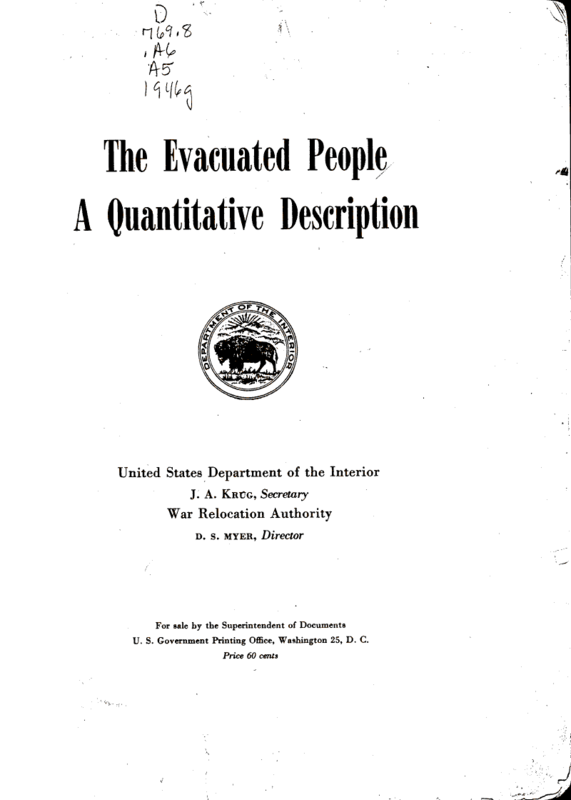 Important book containing statistics on all aspects of the relocation. Peruse the table of contents for an overview.